Master of science in sport science. Prancer extraordinaire. Martin Kvist is a Master of Science in Sports Science, and a very experienced teacher of gymnastics, acrobatics and other fields of movement mastery. He has practiced and competed in a variety of acrobatic sports like vaulting horse, and team gymnastics, but when he stumbled upon acrobatics he was hooked for life. 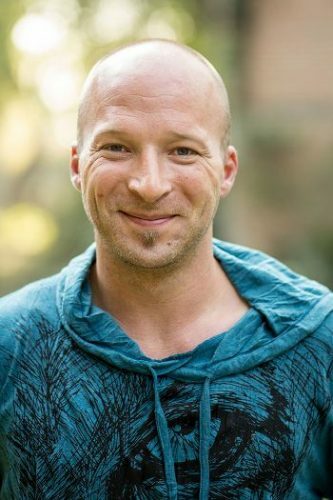 Martin is a certified Yin Yoga teacher and an experienced bodyworker. He has a vast knowledge of different treatment modalities, and a lot of experience both with rehabilitation, and treatment of sports injuries. Besides throwing people in the air, flying hand to hand and preventing injuries, Martin is passionate about neuroscience, motor learning, and human performance . He has a masters degree in Sports Science, specializing in how to prevent shoulder injuries in overhead athletes like acrobats, gymnasts and volleyball players. Besides teaching for Partner Acrobatics Martin provides sport scientific consulting, workshops, lectures and online coaching. With his company Flying High Acrobatics he offers training, consulting and education within the topics of injury prevention, sustainable training, and performance enhancement. Working with professional circus schools and gold medal winning sport teams, as well as private actors and athletes. He keeps a Narwhal called Dave in his parents bath tub. Martin continuously strives to combine latest findings in sports science with the age old experience and training philosophy of the masters, and applying this to improve his own and his students performance in acrobatics and movement.